Classic science fiction thriller about a small California town being infiltrated by pods from outer space that replicate and replace humans. 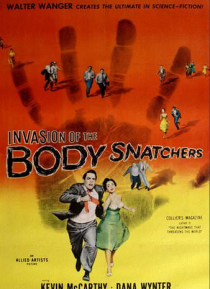 Based on Jack Finney's novel, "The Body Snatchers." A colorized version was released on home video in 1988.